Back in the 80's HyPro managed to salvage a batch of rare Nevil Haze seeds. The next couple of years we have used them together with our own Dutch genetics to produce some remarkable pheno's. In 1990 we bred the Amnesia marijauna seeds out of this genepool. The original Amnesia is a early maturing variety from Afghan and Nevils Haze, its a perfect stabelised hybrid, very popular because of her energetic high and relaxing body effect. It varies in taste from citrus Thai notes through a range of sativa highlights into a deep spicy haze flavour. 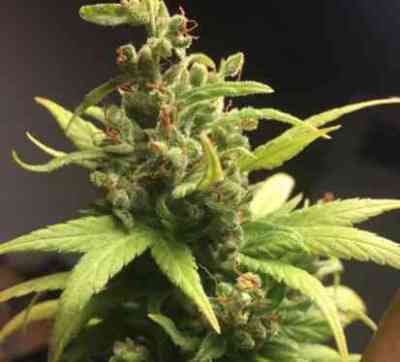 he Amnesia cannabis seeds from Super Strains are the original Amnesia cannabis seeds. Amnesia is one of the strongest (Haze) sativa strains out there. Thanks to Amnesia's very strong effect and incredible high she won the Cannabis Cup several times and is considered one of the best (sativa) strains in the world. Amnesia can be very a good producer and needs a long flowering period of 10-12 weeks, but the quality of the smoke and her incredible strong high make up for this though. Amnesia can become a tall plant, so indoors you might need to control her height. Outdoors Amnesia is capable of becoming a 3 meter tall cannabis plant, depending on the length of the vegetative period. Diese Amnesia ist exakt das, was ich in Amsterdam in meinem Stamm-Coffeeshop seit Jahren kaufe. 100% Keimung und homogener Wuchs. SUPER STRAIN!!! This amnesia has the most deep spicy haze flavour I have tried so far. Love iT! !